"My goal is to...be the best role model that I can be for the tribe to show them that staying involved with the community is important for youth because it can have a major impact on their future and health." We spoke with Jaylynn via email in September 2012. I got [youth involved in activities] that got them out in the community and helped develop their life skills. 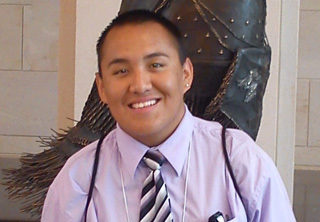 The Mescalero System of Care [offered] the Equine Expo, a youth group, a health fair, a youth basketball camp, and [participation] in the national System of Care conference. All these activities benefitted the youth in numerous ways and helped improve their life skills. And what’s a better way [to do that] than in their own surroundings with tribal leaders, peers, and mentors?